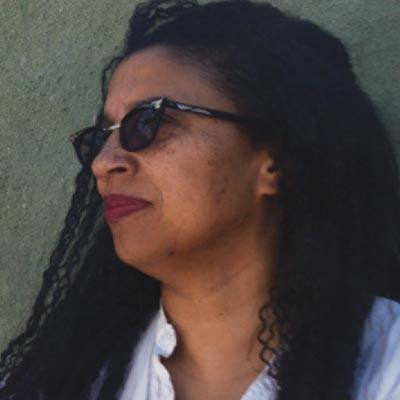 Robin Coste Lewis is a Provost’s Fellow in Poetry and Visual Studies at the University of Southern California. She is also a Cave Canem fellow and a fellow of the Los Angeles Institute for the Humanities. She received her MFA in poetry from NYU, and an MTS in Sanskrit and comparative religious literature from the Divinity School at Harvard University. A finalist for the Rita Dove Poetry Award, she has published her work in various journals and anthologies, including The Massachusetts Review, Callaloo, The Harvard Gay & Lesbian Review, Transition: Women in Literary Arts, VIDA, Phantom Limb, and Lambda Literary Review, among others. Voyage of the Sable Venus (Knopf) —Finalist for the 2015 National Book Award in Poetry— is a triptych that begins and ends with lyric poems considering the roles desire and race play in the construction of the self.